Recent indicators show architecture and design firms experienced a slowdown in activity during the latter part of the fourth quarter of 2018. Unstable business conditions due to concern about the pace of economic growth in 2019 and turbulence in the stock market in the months of November and December were the main reasons given for the downward trend. Firms reported clients were postponing, delaying or canceling projects as they awaited clearer signals on which direction the economy might move in the next year or two. New contracts and client inquiries also were down from the previous quarter. Interior design firms appeared to be more affected by the instability. 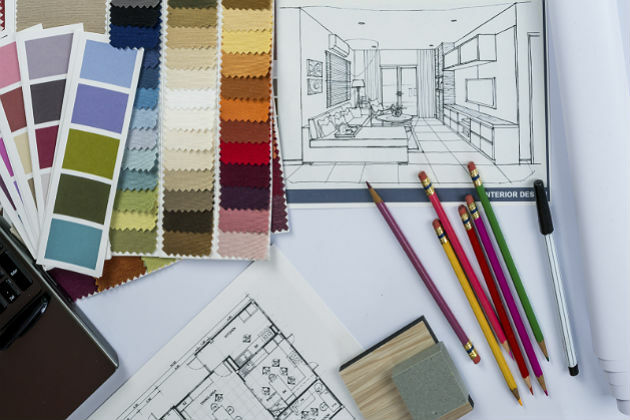 After bouncing back in November from a weak third quarter, the American Society of Interior Designers’ Interior Design Billings Index (IDBI) plunged 9.3 points in December to its lowest level since the index was launched in November 2015. Inquiries dropped by a similar degree. Some of that decline is no doubt seasonal. Nonetheless, ASID noted that the index had been unsteady throughout 2018, falling in and out of negative growth territory, indicating a softening in demand. Designers last fall had expected business conditions would improve in the fourth quarter, but that was before the economic winds shifted. Following a similar pattern, the American Institute of Architects’ Architectural Billings Index (ABI) rose four points in November and then fell four points in December, back to 50.4, or just barely within positive growth mode. The value of new design contracts declined several points from the previous month, and inquiries slid around 8 points to 55, after having peaked for the year in November. The AIA report states that smaller firms were more likely to report a negative impact on business due to the stock market volatility in December, which may also help to explain why many design firms experienced negative growth. On a more positive note, Houzz reports that architects and interior designers at the end of December and during the first week of January were seeing an uptick in new project requests and inquiries. Despite some erosion in project backlogs, they were cautiously optimistic that business conditions in the first quarter of 2019 would remain about the same as they were at the beginning of the fourth quarter of last year. Although forecasts for both the construction and remodeling industries predict slower growth in 2019, annual growth is expected to remain positive on the whole. Some sectors and some regions of the country may experience higher growth than others. The AIA Consensus Construction Forecast Panel, which examines forecasts from a number of different industry sources, projects nonresidential construction on buildings to grow by 4.4 percent by the end of 2019. MetroStudy’s most recent Residential Remodeling Index (RRI) foresees moderate growth of around 2.9 percent for the year. Severe weather in many parts of the country and continued economic uncertainty likely will have dampened activity in January. However, December’s employment figures were better than expected, the Federal Reserve has said it is holding off on raising interest rates for the time being, and the U.S. and China are engaged in talks to settle their trade differences. If stability improves, designers should see demand increase in the months ahead.